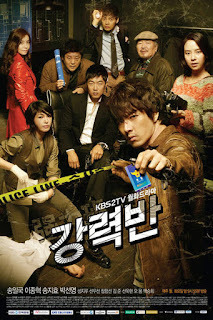 Cast: Song Il Gook, Lee Jong Hyuk and Song Ji Hyo. 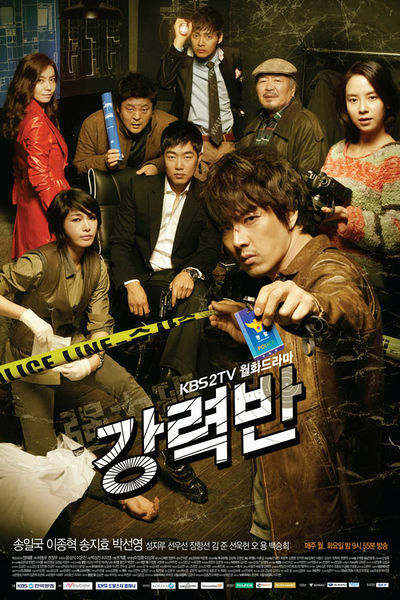 This drama follows the detectives of the Special Task Force. Park Se Hyuk (Song Il Gook) left his teaching job, so he could become a detective, in order to bring light on the case which caused the death of his 6-year-old daughter. Five years he has been solving cases and is known to be hotheaded, aggressive and stubborn, but has not been able to find out anything about his daughters case. He lives his life in depression and rage, until he one day gets a new Team Leader, Jung Il Do (Lee Jong Hyuk), the man responsible for his daughter’s death. Jo Min Joo (Song Ji Hyo) just got a new job at a third rate website as a reporter, but hot-blooded as she is, she tries to get scoop, really close up, ending her meeting Se Hyuk, and they somehow become a dynamic duo; the reporter and the cop.